run competitions, events and promotional activities. there is a duty to the public to reveal the information, e.g. regulatory bodies. When you give us information about another person, you need to confirm that you have been appointed to act on behalf of that other person. This includes providing consent to process that other person's data as set out in this policy. All information is processed and handled in line with the UK Data Protection Act 1998. 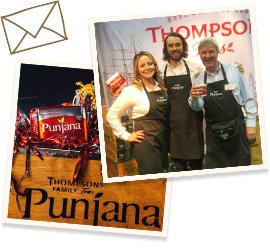 Thompson's Teas manages a presence on social media networks and website to engage with and assist our UK customers. By engaging with us on social media you agree to the following provisions. 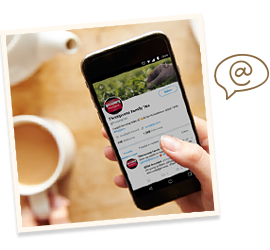 We monitor social networks for comments about Thompson's Teas and our products and services. Any comments or posts may be used for internal or external publication by Thompson's Teas or any organisation working on our behalf. We try to read all comments made on official Thompson's Teas social network accounts. We will consider any themes or helpful suggestions but we don't guarantee that they will be acted upon. We don't guarantee to reply individually to all messages. Remember, your social network posts are not private and may be read by the general public. We'll never ask you to post personal information or Thompson's Teas account or security information on social networks and you should never do so. This includes private messaging, with the exception that we may on occasion ask you to provide your name and telephone number privately to allow us to help you further. Thompson's Teas accepts no responsibility for any personal data you post to social networks or websites. They may store your personal data outside the EU. Please read their privacy policies carefully. We do not endorse any social networks or websites, nor do we endorse any information posted by users of social media networks or websites. 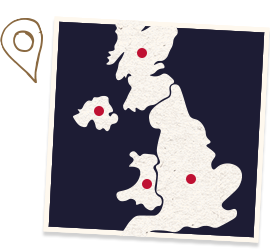 We are only responsible for information posted on social networks and websites by Thompson's Teas. Copyright in the posts, images and videos that we place on social media, and information and material in their arrangement, is owned by or licensed to Thompson's Teas unless otherwise noted. You may print, copy, download, or temporarily store extracts from our pages for your personal information, or when you use our products and services. You may not alter anything. Any other use is prohibited unless you first get our written permission. Any permission to reproduce copyright material does not extend to any material which is identified as being the copyright of a third party. Authorisation to reproduce such material must be obtained from the copyright holders concerned.